Why should you miss out on extra income for your business? Bureau de Change has become very popular in the UK over the past few years, with big companies from Travel Agents to Supermarkets now providing this service. We know that there are already companies in the UK who will offer you Bureau de Change Services, but they always come at a price. 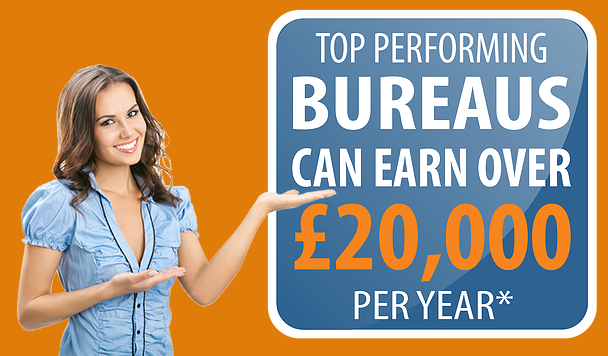 Most bureau models require you to pay a high joining fee AND a deposit for your currency supply, which in some cases could be up to £20,000. Exchange Bureau is different. 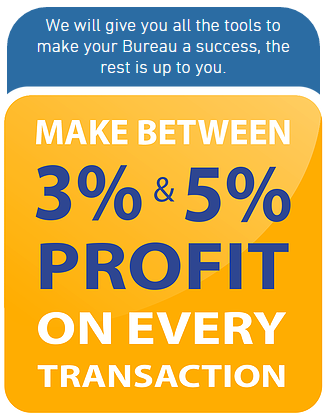 Our unique business model is designed to give your customers great rates on buying and selling currency and if you embrace your Bureau, you will learn how to increase your profit substantially. Another unique difference with Exchange Bureau is that it’s a membership and with most memberships, we want our members to do well, so we don’t take ANY of the commission you make for each transaction. In fact, it’s totally up to you how well you will do, as you will be running your own Bureau, the way you want to run it. Whether you’re a Convenience or Retail Store, Hotel or Bed and Breakfast or simply that your business premises has a good location, Exchange Bureau could be just what you’re looking for to give you that extra income boost. No large upfront cash deposits or lengthy contracts. Run your own Bureau the way YOU want to. Edit your recommended rates for local competition if required. Attract tourists to your premises for currency exchange. Potential Extra sales if you can accept foreign currency. 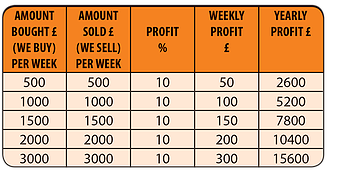 Offer Rates that beat the Banks, Post Office and Supermarkets. Low Joining Fee, which includes your Starter Pack. Annual Memberships fees from £ 0 (depending on your annual returns). Different user levels to suite your business type. Simple online system using any device with or without a printer. Broadband at your premises is NOT required (minimum mobile internet). Restricted memberships in your local area. 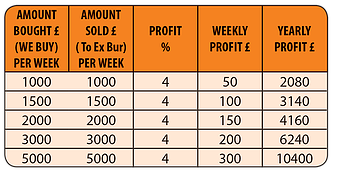 Fantastic income stream for your business. Why should you miss out on the Currency Revolution.